This is a good list. I have a 2-year-old now but most of these definitely apply! Definitely! A lot of these are toddler friendly as well! So I used to live for posts like this when my first two were little. These really help. I love the no-mess paint idea and the spider web. How did your daughter like the tugging box? She loves it! I actually made it for her when she was about 5 months and I was bummed that she didn't seem to do anything with it besides try to chew on the strings, but the last few months she has been really into pulling them back and forth. Good options. The library is my favorite place to go. We are big fans of the library too! 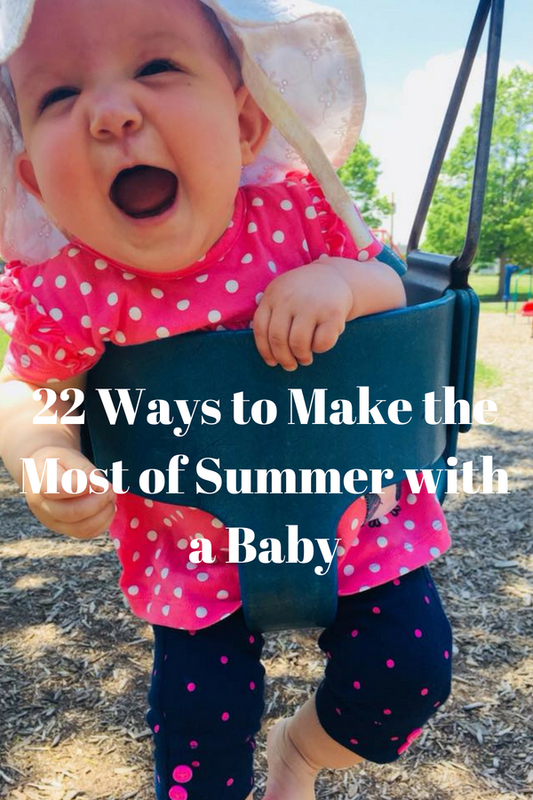 These are such great ideas!Getting outside is so beneficial for baby and mama! Definitely, we are in Wisconsin and the months of decent weather always seem so short so we try to make the most of it. I definitely need to check out Mommy & Me classes. That and the Facebook Mom groups. Thanks! Facebook Mom groups have been a life saver for me, how I met a lot of my mom friends and get support. We have really enjoyed swim class and I've heard great things about Mommy and Me music classes as well! Thank you so much for these! It is so easy as moms to overthink things. We try to make everything "social media" worthy. Thank you for adding lots of different options. I will definitely be trying some of these.